Tired of sleepless nights and listening to the annoying sound of creatures thumping or disturbing calling noises?? Well, it may be the beginning of new guests settling into your home. 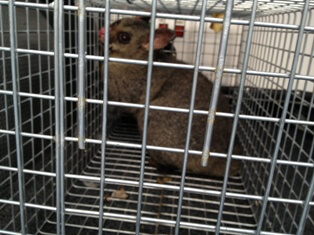 ABC Pest Control Sydney helps in control of possums in Woollahra and surrounding areas. If you have a possum problem you can book in under 60 seconds. If there are any other issues check out our competitive packages. There are 27 species of possum in Australia. The brushtail possum and the ringtail possum, are the most common species that have adapted to the suburban areas and are considered pests because they eat fruit, vegetables, and flowers from gardens as well as build nests on the roof of your house as it is a warm and dry area. The brushtail possum is usually brown or grey in colour, about 55 cm in length, the size of a cat. They have oval-shaped ears, pointed face, long whiskers, and a bushy tail. It is found in the eastern, southern and western areas of Australia. 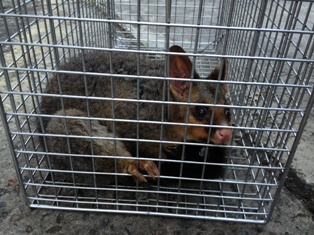 Brushtail possums usually make their dens in natural places like tree hollows and caves but will also use artificial den spaces such as roofs of houses, chimneys and under or in buildings. Possums are solitary and nocturnal, meaning they become active at night in search of food in urban waste and compost bins. Possum diet includes almost anything they can find, from insects, leaves, flowers, nectar, fruits to small mammals, birds and reptiles. Male possums are territorial and will fight other possums that enter their territory. Possums are excellent climbers as they are considered arboreal, or tree-living, due to their sharp claws, hand-like back foot and tail which they use to grab and hold onto objects. Although these marsupials may present as cute, their looks are deceiving.